The Queensland Museum Network is recognised nationally for producing high quality environmental and cultural heritage publications. Our publishing business allows us to share the results of our academic and scientific research with a broad general audience and strengthen our commitment to community education. 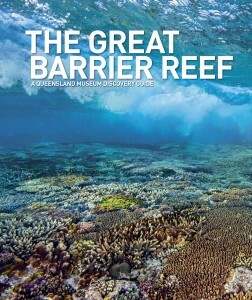 Developed with generous support from South32 as part of the Colour of the Reef partnership, this 440-page publication combines stunning imagery – many of creatures never seen before, even by the most experienced divers – alongside stories about the amazing life-forms, diverse habitats and remarkable history of the Reef.